A Revelation for the New Year – yes, it is not misspelled. I meant revelation not resolution, although you may want to include it as a resolution…..
Did you know the Universe is expanding? I recently read of a cosmologist (a person who studies the science of the origin of the universe) who claims the Universe is expanding. According to this cosmologist, who happens to be a Christian, the universe is expanding at the speed of light. Apparently I had missed the memo as everyone I talk to already knew the universe is expanding. 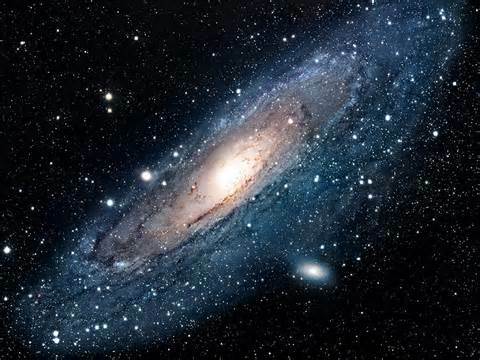 And it has been expanding at the speed of light since the moment God spoke the universe into being. Now, do you know why the universe is expanding at the speed of light in all directions and has been since God spoke it into being? The universe is expanding at the speed of light in all directions and has been since God spoke it into being because —– it’s not big enough. It is not big enough for what? – you are likely thinking. I know you are ready for me to get to the point, please always remember and never forget that in order to be a good leader of middle school age students and middle school minded teachers you have to be a bit dramatic and a bit of a smart aleck, and I really enjoyed leading middle school. The universe is expanding at the speed of light and has been since God spoke it into being because it is not big enough to hold all the Good things God has planned and prepared for those who love Him. However, if you are giving just to get, then you likely violated number one and what you are doing is not a Good work, so little to no likelihood of having your lap running over with what you receive. I recently read of a Dennis the Menace cartoon in which Dennis and his pal Joey were given fresh cookies by Mrs. Wilson, Dennis’ kindly neighbor. As they walked away, Joey asked Dennis, “What did we do that was good enough to get these fresh cookies.” Dennis said, “We did not get cookies because we are good. We got cookies because Mrs. Wilson is good.” The same holds true for those of us who love the Lord. We do not get Good things because of what we do, or give, but because God is Good. And, as His followers who love Him, we are as adopted sons and daughters. Adopted kids hold a special place in the heart of adoptive parents. Both my sons are adopted. I do not claim to know anything about parenting or how parents feel about their own blood-related children, but I do know that ours are held in extremely high esteem – regardless of what they do – by their mother and I. Maybe it is because of the high price we paid of waiting many years and paying a cost that was a sacrifice for us – seems to be a correlation there in what Jesus paid for all of us. I already stated, I do not have the answers. All I know is that we love our sons, and God loves us. One thing I do know is that God has Good things planned for me and you. I hope you do not miss out on any of it. Be Purposeful in the New Year in receiving all God has for you and giving of yourself and your things and be prepared for the bounce back…. Cowboy Logic: Sometimes you just have to throw the reins over the horse’s head and hang on!